Ground Control Touring is thrilled to welcome Dehd to our artist roster! 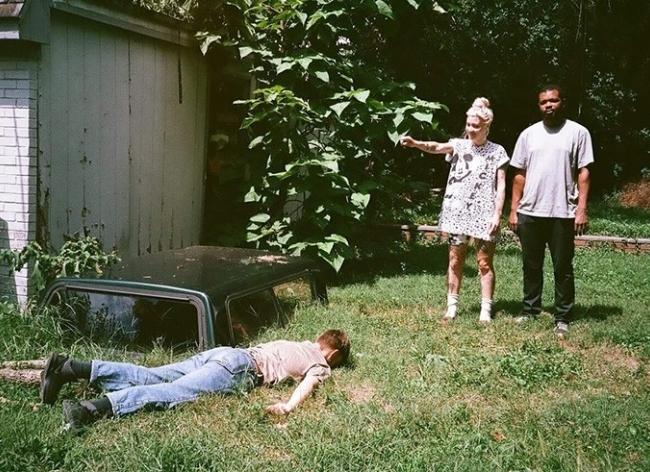 Dehd, made up of Jason Balla, Emily Kempf, and Eric McGrady, was formed in 2014. Balla and Kempf are both veterans of Chicago’s increasingly fruitful DIY scene (Balla with Ne-Hi and Earring, Kempf with Vail and formerly with Lala Lala). When they joined forces with first-time drummer Eric McGrady, they discovered they shared a strange and inexplicable chemistry. The music they make — hazy and reverb-drenched, a scuzzy and hyped-up take on surf rock that could only come from the Third Coast — came so intuitively, it made all three feel like they were stewards of something bigger than themselves, even while that very thing is unmistakably drawn from their own personalities. “There’s always been this easy grace about the band because we purely just love doing it,” Balla says of their immediate coherence. Keep up with Dehd on their artist page for shows, dates, and news.